The far-right Alternative for Germany (AfD) party has overtaken the Social Democrats (SPD), the junior party in Germany’s governing coalition, in voter popularity to become Germany’s second-strongest party, behind Chancellor Angela Merkel’s conservatives, according to the Deutschlandtrend poll by public broadcaster ARD. The AfD moved up two percentage points since the last survey on September 9, bringing it to 18 percent — one percentage point more than the SPD, which lost a point. 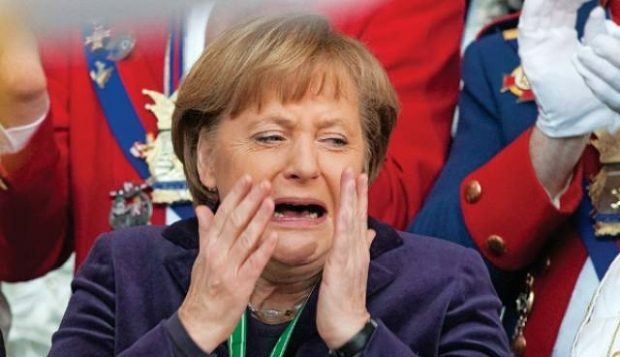 Merkel’s conservative CDU/CSU bloc, which has led German governments since 2005, also slipped a point to 28 percent, representing its worst result since the survey was launched in 1997.